Have you been asked to raise money for a non-profit, college, hospital, or church? Are you willing but not sure how to proceed? Is it your job to prepare volunteers and staff to solicit gifts? Whether you are a seasoned fundraising professionals or just now starting on your fundraising journey, this workshop will provide key insights into the field of practical fundraising. 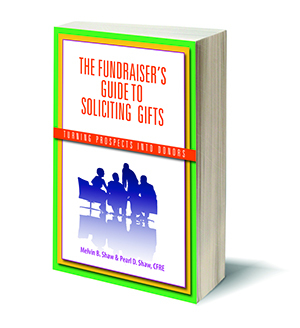 This workshop builds on information in our book The Fundraiser’s Guide to Soliciting Gifts. Workshop fee includes book for use during and after workshop.